7 degrees of range of caster adjustment. 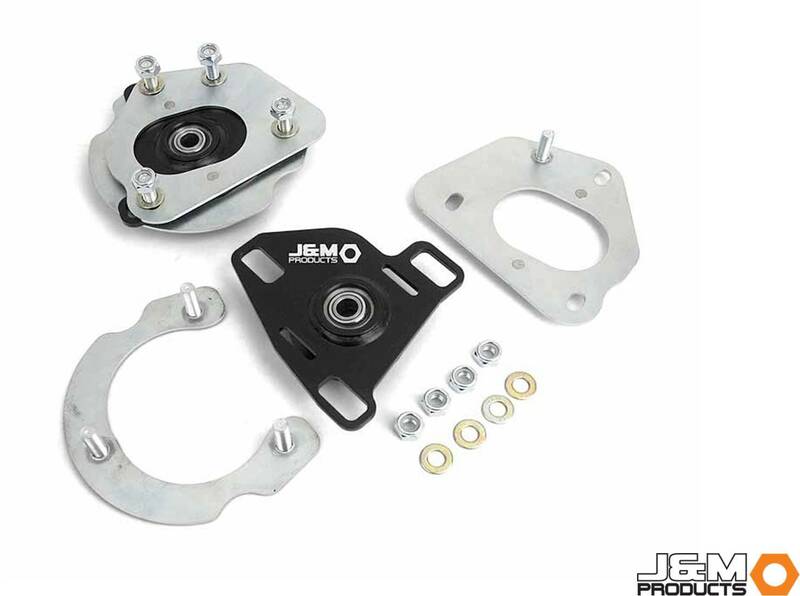 J&M Products all new fully adjustable patented Caster/Camber Plate assemblies are suitable for the 2015, 2016 and 2017 S550 Ford Mustangs. These kits arrive completely assembled ready to bolt on right out of the box and are designed for quick and accurate adjustments. These all new plates have been engineered with a patented proprietary caster and camber adjustment design, allowing independent adjustments exclusive of the other alignment change. Installation is simple with no drilling, cutting, or other modifications. Adjustment allows for increased camber and caster modifications over other available adjustment plates. Even after lowering your vehicle up to 2.5 inches, these plates allow the ability to retain the factory alignment specifications, preventing uneven and premature tyre wear. The caster camber adjustment plate designs are protected under US Patent numbers 8,820,759 and 9,073,577 with a full lifetime warranty to the original purchaser. 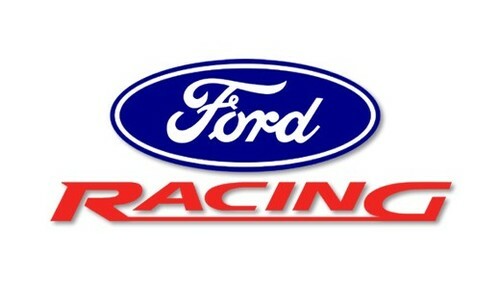 Caster and camber adjustments are made separately. Over 1.7 degrees of camber can be adjusted without affecting caster settings. 0.7 degrees of range are available for caster adjustment. 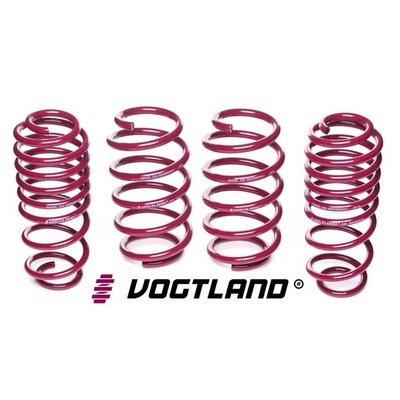 All parts are plated or powder coated for appearance and long lasting protection. 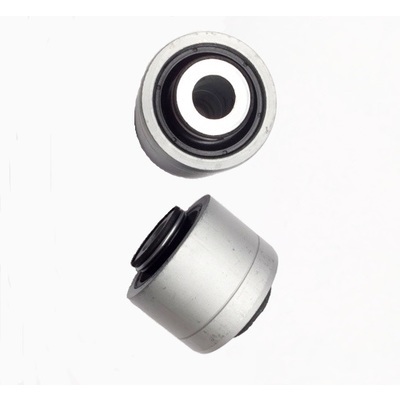 Spherical PTFE lined bearings eliminate factory bushing deflection and precisely locates the strut during aggressive cornering and hard braking. 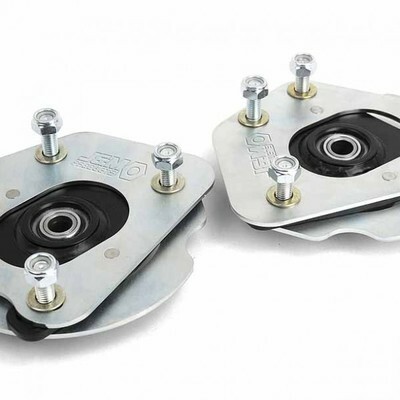 J&M Caster Camber Plates are the best way to properly align your S550 Mustang’s front suspension. J&M Products patented plate design works perfect on stock and lowered Mustangs. 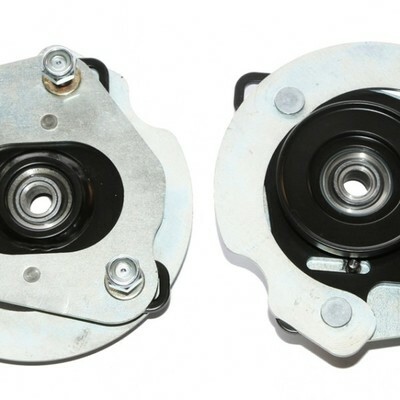 Spherical bearing liner is attached with a thin sintered bronze wire net impregnated with PTFE powder, just the same as utilized in modern ball joints on new cars. 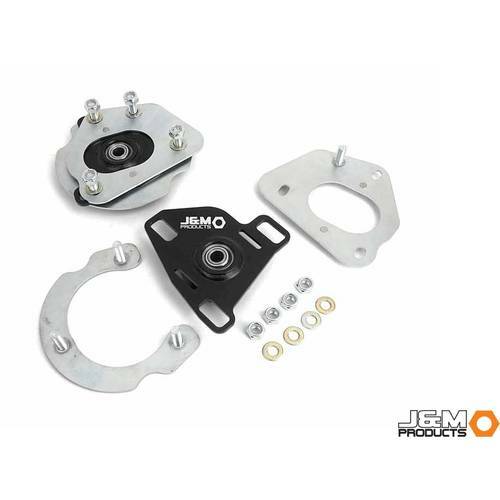 J&M’s design is the only camber caster plate which allows for independent adjustment of camber and caster for the S550 platform Mustang’s. The stock 2015-2018 Mustang has no provision for camber or caster adjustment. Bearing liner is attached with a thin sintered bronze wire net impregnated with PTFE powder, same as modern ball joints.